EVERY GIFT, NO MATTER HOW LARGE OR SMALL, MAKES A DIFFERENCE All donations received from the business and corporate community is vital for producing rangatira (leaders) for the future and ensuring every Kiwi tamariki (child) has an opportunity to learn with a smile. ​At Inspire In Education we pride ourselves on designing bespoke partnerships that return real value to business and corporate partners and make a tangible difference in the lives of local children who just need "that Gift to a Good Start". 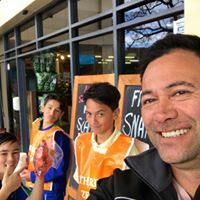 This support is invaluable for helping Inspire In Education create brighter futures for our tamariki now and in the future. Payroll giving enables you to donate to Inspire in Education directly from your pay and receive instant tax benefits that reduce your payable PAYE, ensuring you get the tax rebates you’re entitled to. With payroll giving, your donation to Inspire in Education is taken out of your regular pay before it goes into your bank account. If your donation is more than $5, you receive a third of the donation amount as an immediate tax rebate. So if you donate $15 to Inspire through payroll giving, you’ll only have a $10 reduction in your take-home pay. With other forms of donating, you usually have to wait until the end of the tax year to claim your tax rebate. Payroll giving ensures you get the tax advantages immediately. How often you want to donate (for example, one-off, every pay, every second pay – your employer may have their own rules here). No receipt is issued through payroll giving, as the tax credit is instant. Email your details receipt. If you would prefer to remain anonymous, leave the reference blank. PO Box 8483, Havelock North 4157. Remember to put your name, address or telephone number on the back of the cheque. If you are interested in our corporate sponsorship opportunities or have your own ideas to present, we would love to talk to you! ​Kiwis are great at giving, but we’re not so great at claiming donation rebates back from IRD. In 2014, Kiwis claimed rebates for less than 50% of the donations made. That’s around $200 million sitting at IRD that could be going back into the community! When you make a donation of $5 or more, you can claim up to a third of the amount back from IRD. And even better news, you can claim any donations made over the past four years. You can keep this as a reward for your good deed or donate it back to a cause you feel passionate about. ​Thank you to CEO Steve Owens and Provident Insurance Corporation Limited for the kind. 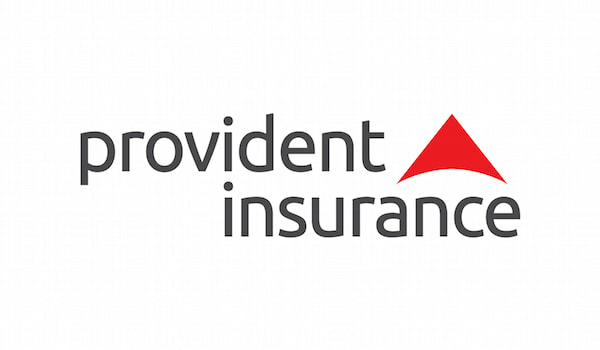 Like Inspire In Education, Provident Insurance is proud to be 100% NZ owned and driven. ​Their Head Office is based in Takapuna, Auckland, with Sales and Customer Service Representatives based in all major centers throughout the country.Their management team have in excess of 100 years experience in this industry, committed to success through our strong customer focus and our determination to deliver the highest standards of excellence in our products, services, claims support and technology. Thanks to 543 Design for donating their time in setting up this website. They suggested early on that we should get some of our students to brainstorm the logo concept and helped turned those fantastic ideas into a professional logo as well. Visit 543 Website Design's site by clicking here. Inspire In Education also has it's hand up when it comes to supporting the communities and other wonderful charities. 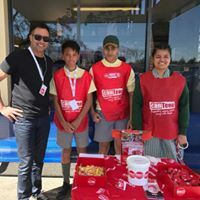 Here founder Conrad Waitoa and students are out supporting CanTeen and NZ Arthritis, street collections. 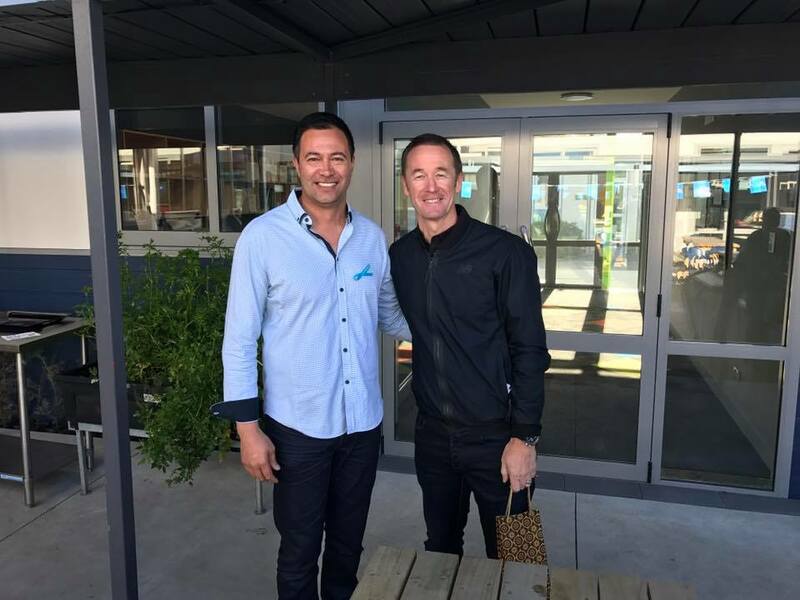 Conrad Waitoa here, MC at a Father & Son, Boys Breakfast with guest speaker Greg Murphy promoting Blue September NZ, prostate cancer awareness month.